A stand-alone profile for anyone leading a group or organization. 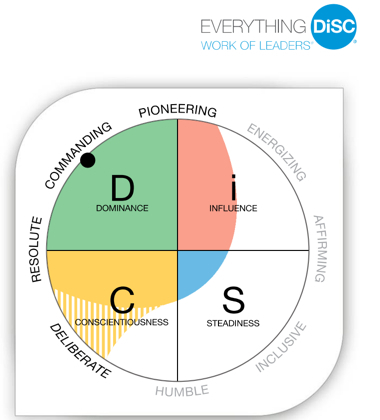 You’ll discover your DiSC leadership style and learn a simple three-step process to help you approach the fundamental work of leaders: Vision, Alignment, and Execution. The Everything DiSC Work of Leaders® Profile approaches leadership as a one-to-many relationship, focusing on tangible steps directed at leading a group or organization toward a desired outcome as opposed to the one-to-one relationship explored in Everything DiSC® Management. Upon completion of your order, you will receive an email with an access code to take the online profile. During normal business hours you should receive that email within 2 hours. Upon completion of the profile you will have immediate access to your personalized report. A stand-alone profile for anyone leading a group or organization. You’ll discover your DiSC leadership style and learn a simple three-step process to help you approach the fundamental work of leaders: Vision, Alignment, and Execution. Connecting to real-world demands – Using the framework of Vision, Alignment, and Execution, Work of Leaders® encourages leaders to understand their own leadership behaviors and how these behaviors impact their effectiveness. Rich, compelling narrative adds depth to the data, and strong visuals support the learning process by illustrating key messages. Generating powerful conversations – Consistently thought-provoking, Work of Leaders® stimulates fresh conversations and perspectives regardless of the leader’s knowledge or experience. It’s an opportunity for leaders at all levels of learning to reflect on how they approach each step of their work. In addition, Work of Leaders® encourages reflection and discussion about the team and the organization. Providing a clear path for action – Work of Leaders® helps leaders take action with personalized, easy-to-apply tips and strategies that give clear direction. Context-specific feedback, developmental steps, and helpful case-in-point narratives show how progress can play out in real life. 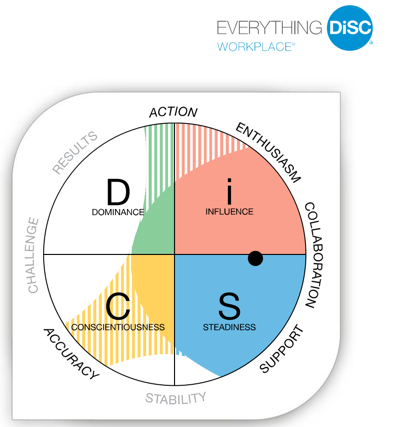 The Everything DiSC Work of Leaders® Profile approaches leadership as a one-to-many relationship, as opposed to the one-to-one relationship explored in Everything DiSC® Management. It focuses on tangible steps directed at leading a group or organization toward a desired outcome. The profile is leadership-specific with in-depth information including tips, strategies, and action plans to help leaders become more effective while understanding how their tendencies influence their effectiveness in specific leadership situations. You’ll understand yourself better which is the first step to becoming more effective when leading others. 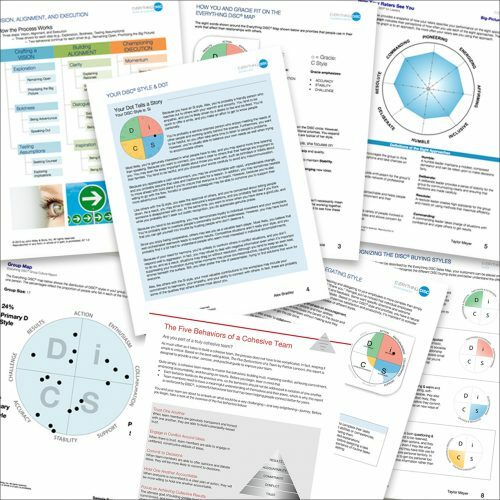 The profile uses the third-generation of the DiSC® assessment—a research-validated learning model—to create a highly personalized learning experience. The profile is a result of a four-year research and development effort that analyzed and distilled the work of prominent leadership researchers and input from more than 300 subject matter experts at over 150 organizations. The 23-page highly personalized report identifies leadership best practices across 18 behavioral continua, includes strong visuals illustrate key messages, context-specific feedback, and tips and strategies for improving leadership effectiveness.